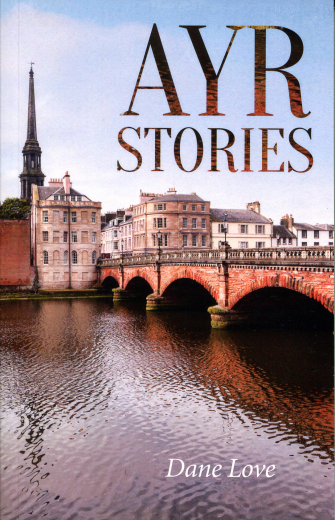 Buy Ayr Stories from the author's online Bookshop. Ayr, a Royal Burgh since 1205, is one of the oldest and most important towns in Scotland. Its long and turbulent history has produced a wealth of dramatic stories. Ayr has experienced war, occupation, uprisings, executions and many other sensational events. It has also been home to many distinguished and colourful characters. This unique collection captures the best of these stories, both ancient and modern. Read about William Wallace's battles with the English on the streets of Ayr. Oliver Cromwell's occupation. Robert Burns. Witch burnings. The history of the Low Green. The murder of Sir Thomas Kennedy of Culzean on Ayr shore. The great Ayr Bank crash. The much loved Ayr trams. Ayr and the sport of kings. The Popplewells and the Gaiety Theatre. Ayr United FC. He Ross murder and the wrongful imprisonment of Paddy Meehan. And many more. A book of twenty-six stories that will delight anyone with an interest in the "auld toon" and its fascinating past.